Time has whittled mainstream memory of the original late 1960s/early 1970s Planet of the Apes franchise down to an image of Charlton Heston’s clenched fist and the Statue of Liberty tanning her torchy top half on the beach. However, the original series was actually quite subversive and fascinating. It was compelling science fiction that occasionally skinny dipped in psychedelic waters. With Dawn of the Planet of the Apes, this reboot of the series (or re-reboot if you’re Tim Burton) is now flexing blockbustery swagger. Gone are the time-traveling subplots and near-mute, buxom beauties of the original series. Now, we’ve got armies of CGI chimps riding horses and firing machine guns. Are you not entertained?! The most important thing is this: although these Apes have ditched some of the trippier elements, they have retained the social awareness and have infused summer spectacle with humanistic moralizing. Dawn begins in 2026, with humanity on the wrong end of a supervirus beatdown. Only small pockets of people remain in a postapocalyptic land better befitting the animals. 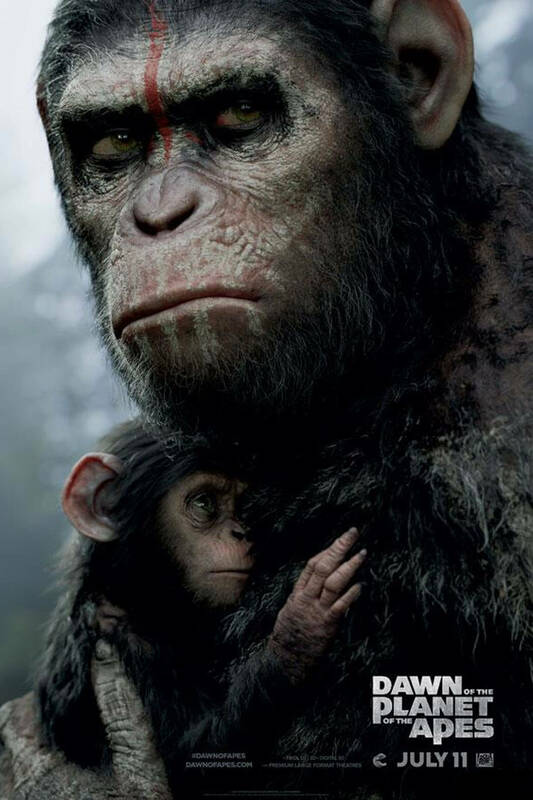 Caesar (Andy Serkis) and his ape family are thriving in what looks to be the Ewok village. They hunt, have children and teach lessons in sign language and spotty spoken words. A small band of humans looking to restart a generator stumbles into their territory, and one of them, Carver (Kirk Acevedo), shoots an ape child. This enrages the animal clan, especially Koba (Toby Kebbell), who demands war. But Caesar and Malcolm (Jason Clarke), a cautious father and second-in-command at the human camp, both want peace. They negotiate a delicate alliance that is threatened by the human leader, Dreyfus (Gary Oldman), and the war-mongering Koba. An act of betrayal leads to an epic fallout worthy of summer fare, as explosions, graphic ape-on-ape action and tons of symbolism combine in a furry, bloody climax. Man, oh man—or should that be “ape, oh ape”—does this movie look good. Director Matt Reeves hungrily exploits the best kind of computer effects: the kind you’re not sure is fake. A brave decision was made to center the film around the ape family, which is to say that the humans take on a supporting role, mostly plot-centric, while the simians are the ones who demonstrate character growth. From the sublimely villainous Koba to the complex Caesar, shifting away from human actors is a clever choice and not an accident. The thematic morality lessons are also no accident. The film deconstructs the American “guns for self-preservation” myth while offering critical communicative advice about how heroes listen and villains bark orders. The only thing hobbling the flick from hitting full stride is a reliance on broadly painted characters, like Carver, and cliched plot points, like humans helping Caesar’s sick wife. 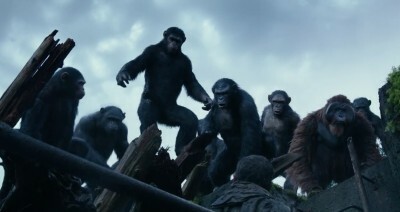 Dawn of the Planet of the Apes is gorgeous, thoughtful and thrilling. What it lacks in original plot, it tries to assuage by uniquely focusing on nonhumans as the leads. If, perchance, the next film is War for the Planet of the Apes, as is suspected, let’s hope it’s not a battle for diminishing returns.